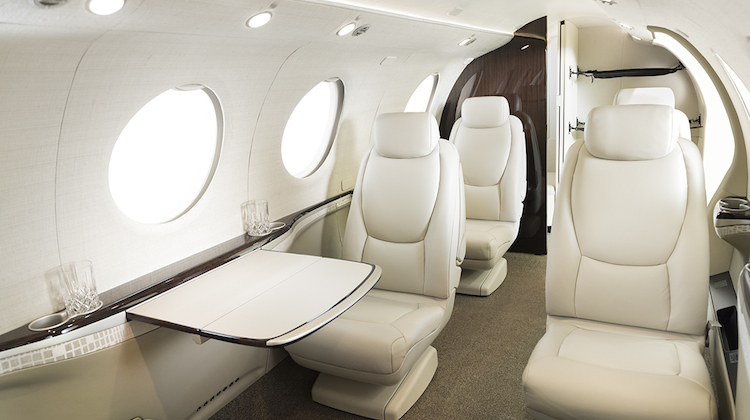 Hawker Pacific expects the recently-launched Cessna Denali to prove particularly attractive for aeromedical service providers looking to upgrade from the Pilatus PC-12. 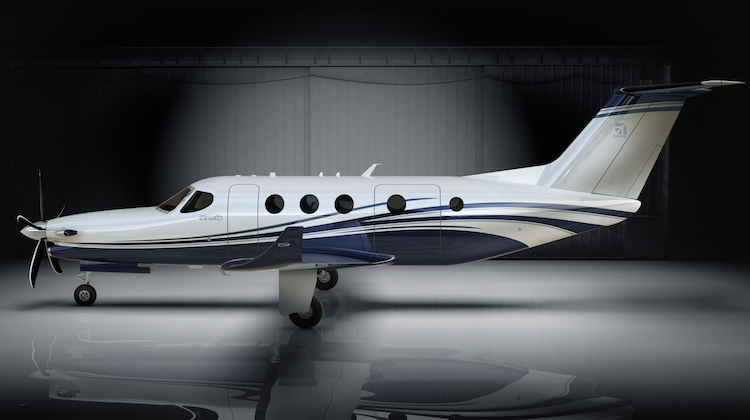 Textron Aviation unveiled a mockup of its clean-sheet single-engine turboprop design, which is expected to make its first flight some time in 2018, at the Experimental Aircraft Association (EAA) AirVenture at Oshkosh, Wisconsin this week. Powered by a new General Electric FADEC-equipped, 1,240shp-rated turboprop, the Denali is designed to cruise at 285kt, have a range of 1,600nm and a ceiling of 31,000ft. The cabin will seat between six and nine passengers, depending on configuration, and will be pressurised to 6,130ft. An aft cargo door will measure 1.35m by 1.50m. Textron claims the Denali’s flat floor cabin will be the largest in its segment and could “easily convert between passenger and cargo configurations”. Up front will be a Garmin G3000 touchscreen avionics suite incorporating weather radar, an advanced Terrain Awareness Warning System (TAWS) and ADS-B capabilities. Hawker Pacific vice president for aircraft sales Nick Jones described the Denali as a step up from the PC-12, particularly for aeromedical operations. “It’s a utility aircraft designed to outperform the PC-12,” Jones said. “Aeromedical is a distinct possibility for this aircraft in Australia. It’s got a large cargo door at the rear so it is capable of carrying passengers, cargo and can do aeromedical missions. The Royal Flying Doctor Service operates a fleet of 32 Pilatus PC-12s, based at its Western Operations, Central Operations and Queensland Section divisions, among other aircraft. Textron is currently accepting letters of intent, including a US$100,000 refundable deposit, from potential customers for the aircraft. Jones said Textron was selling the first 50 aircraft for US$4.5 million each. “It’s probably going to be a 2019 aircraft,” Jones said. In addition to the aeromedical sector and being used as a corporate aircraft, Jones said the Denali was also capable of aerial mapping and survey work, as well as fire control with an infrared line scanner. 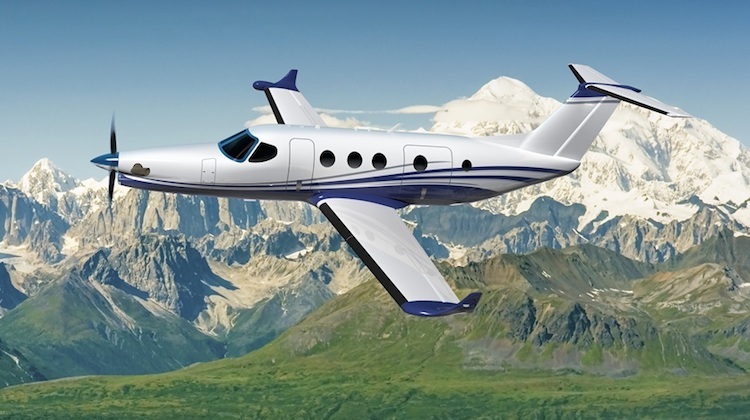 “It’s going to have a similar ownership profile to the PC-12 but it is going to have next generation avionics and is designed to compete very effectively against that aircraft and other single-engine turboprops such as the TBM,” Jones said. Sydney-based Hawker Pacific offers sales and support services for Textron’s Beechcraft, Cessna and Bell Helicopter range, having recently completed the acquisition of Aeromil Pacific. Looks just like a King Air, love it! I thought that this was supposed to be the new Beech turbo prop single !